Woman apologizes to hero imam for Finsbury mosque attack A woman who visited Finsbury Park mosque to apologize to its imam for Monday’s attack, which left one person dead and 11 injured, told RT that people who carry out such attacks are no better than “animals.”Julie Simpson, from Ilford, east London, told RT correspondent Eisa Ali: “I came here because people who have done this are not English. They are not Christian… they are animals, they are pigs.”Simpson met the imam, Mohammed Mahmoud, to show her support for the family of the man killed, and handed over an envelope of money.“I’m so sorry, I’m so sorry for this, I am,” she told the imam. “It rips my heart out. It literally rips my heart out. I came all the way from Ilford, just to see you, to say I am so, so sorry.”She added: “I was crying, I was crying all the time, I thought to myself: What could I do? 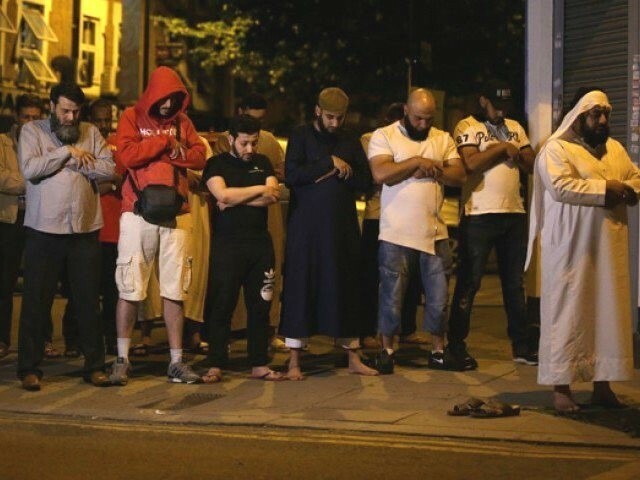 I can’t do nothing.”The imam, who has been praised as a “hero” after he stepped in to protect the suspected attacker Darren Osborne from an angry mob, said Simpson didn’t need to apologize for the terrorist who committed the attack.“You don’t have to apologize because this criminal doesn’t represent you and he doesn’t represent Britain.“They’re a fringe group of criminals and extremists, likewise ISIS [Islamic State], they don’t represent Muslims, these people don’t represent Brits. And we’re part of Britain, too,” he added. The writer is an independent researcher with a masters degree in Political Economy of Late Development from London School of Economics. He resides in London. This attack was indeed against Muslims. You sound very angry…..and possibly rightly so. The people you point to are not really religious….they actually are in the business of religion, because they find preying on the simple, confused mind is easier than doing a hard days work. – If muslims don’t want attack on themselves – stop attacking others.